MFAC was elated to be recognized for a third year in a row as selected charity of the year at the 16th annual Mutual Fund Industry Awards Gala hosted by Institutional Investors News on March 19th at Cipriani Wall Street in New York City. Despite the ominous market conditions, the evening gathered 300 luminaries from the mutual fund industry. Mutual Funds Against Cancer's Founder and Chairman, Frank Strauss addressed his peers and called upon the attendees to come together as |a powerful and affluent industry| and help make a difference in the fight against cancer. Given the economic climate, charities and non-profits are suffering at the hands of government cutbacks, bailouts and the infamous Bernard Madoff. 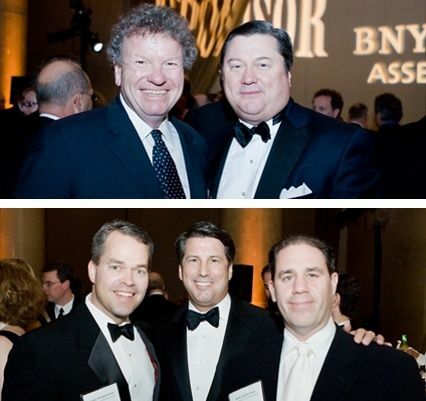 The evening was filled with awards honoring those in the mutual fund industry and lifetime achievers. MFAC held a live auction with professional auctioneer John Terrio who presented spectacular items including tickets to the Grammy Awards, a slot to play in the Northern Trust ProAm, a “Learn how to drive a NASCAR” packaged trip, and a wine country experience trip to Napa Valley. MFAC would like to thank all those who participated, donated generously and more importantly, invested in the cure.